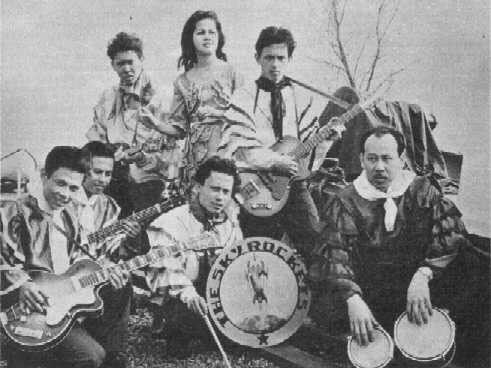 The Netherlands had a fascinating subculture of emigre Dutch-Indonesians (Indo's, Indonesian Eurasians and Polynesian Moluccans) who hit the instrumental rock scene in the years 1958 - 1965 and constituted the "Indo-Rock" movement, with groups like The Tielman Brothers, Electric Johnny & his Skyrockets, The Black Dynamites, The Crazy Rockers, Oety & his Real Rockers, The Javalins, The Hap-Cats and many more. In the mid fifties an unique instrumental music genre raised from Dutch-Indonesian musicians who repatriated to the Netherlands due to their home-lands independence at December 29, 1949. 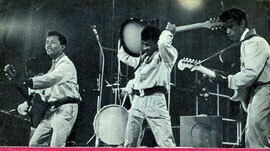 They brought their tropical culture and a passionate love for the guitar. The guitar was imported in the Indian Archipel by the Portuguese explorers in the 14th Century. The traditional Portuguese song styles saudade and fado with guitar accompaniment became later krontjong (Malay) music. Krontjong is characterized by guitars which are talking to each other and the guitarists play rhythmic and melodic parts by the feel. 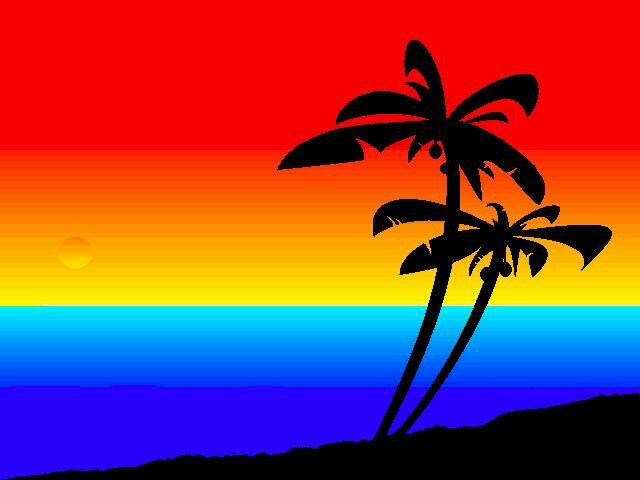 Except this musical baggage they had a predilection for Hawaiian-music (also popular in the Netherlands) and they knew the American country & western and the hot rock & roll repertoire from the radio stations in Indonesia via American (AFN) stations from The Philippines and Australia. The very first Indo bands The (Real) Room Rockers (1957 - since 1959 The Hurricane Rollers), The Hot Jumpers (1958), The Bell Boys (later: The Black Dynamites) and The Rhythm Stars all originated from The Hague. At he same time it happened in Rotterdam with Oety & his Real Rockers, Electric Johnny & The Skyrockets, The Rocking Diamonds and The Blue Eagles. Also in Amsterdam, Groningen, Zaandam, Maastricht and other towns you could find a scene of Indorock groups. They played on stage a mix of rock & roll, c&w, evergreens, Hawaiian- and Indonesian folksongs and also the well-known instrumentals of that period. With the instrumental stuff they were at their best. The Indo-Rock bands were identifable with their three guitar line-up; they had a second lead guitarist in the band who played counter melodies and reinforced accents. They admired the guitar riffs of Les Paul (in fact one of their biggest influences) and later The Ventures and the unique sound of The String-A-Longs was a great inspiration for them. The first guitarists started with cheap accoustic guitars + added electric pick-up. Later they could buy real electric guitars which were available on the Dutch market at that time. First of all the Indo guitarists were mad about the German Höfner guitars and the violin bass (later made famous by Paul McCartney) was also very in demand. Another popular German guitar was the Framus (model Hollywood) and next to the Italian Eko guitars we had our own Dutch Egmond electric guitars. 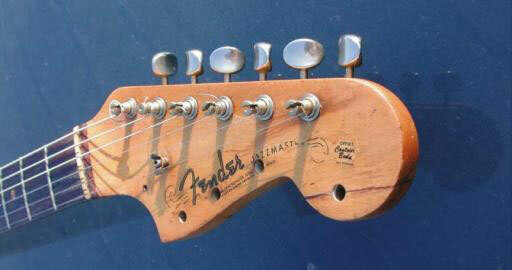 However The Fender Jazzmaster became in 1961 their favourite guitar and the status symbol of Indo-Rock. 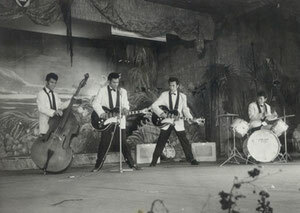 The Tielman Brothers - Andy Tielman the uncrowned king of Indo-Rock. In 1957 came the Tielman Brothers to the Netherlands. Andy Tielman and his brothers Reggy, Ponthon and Loulou played already together in Indonesia as The Timor Rhythm Brothers. In Breda they started as The Four T's. They secured a job at the 1958 Brussels World's Fair (EXPO '58) in the "Hawaiian Village" section of the Dutch pavilion. 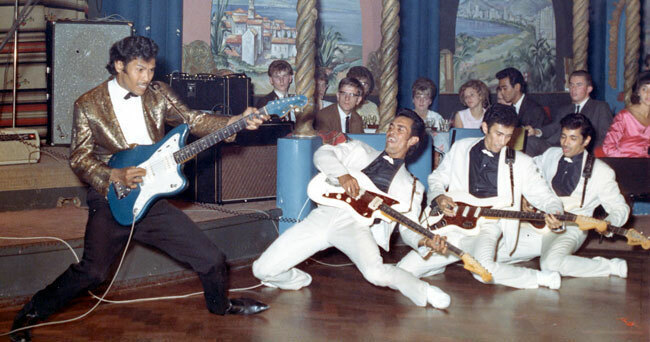 Hired to play for only fifteen minutes when the Hawaiian band took their break, the Four Tielman Brothers stole the show with their wild rock'n'roll songs and acrobatic antics. They tossed guitars across stage, played the guitar and the bass with their toes and teeth, and played their instruments behind their heads and upside down. It was the start of their club career in Germany (they started in the Ringstuben -Sputnik- at Mannheim). They first played on Egmond guitars and also had Egmond amps, but since 1958 they were the first owners of imported Gibson Les Paul models in Holland. Their professional show with speedy light-fingered guitar-tricks, gentle smiling to the girls in the audience and swinging top-down, became the start of the Indorock scene in Germany. Many Dutch Indo groups got contracts in Germany during the early 60s. In the Netherlands at that time, bands could only play on weekends for little or no money at all; in Germany bands could get a contract for a month or at least a couple of weeks and make scandalous much money! Now you may wonder why Andy didn’t use an electric 12 string like a Rickenbacker. If you listen to their music you know why. With a 12 string electric the octaved A and E sound more lose and the single ones are tighter and super tight playing was the hallmark of the Tielmans. Also they tuned down their instruments 2 half tones down and during their Gibson years even 3 half tones. That gave a deeper sound and less tension on the strings. The Tielman Brothers were the leaders and all other Dutch-Indonesian bands followed them in every way. So when Andy had his new sound every one was curious how he did this. So for a time he hid his headstock with a towel. But that didn’t help, his invention was copied by many other bands. The Fender company send over one of their reps to Germany to see Andy’s 10 string Jazzmaster but it never came to an agreement. The German manufacturer Framus made a prototype of a 9 string, but it didn’t go in production. However there must have been a connection between Fender and Andy, because from 1963 on he played on a dark blue metallic Jazzmaster with matching headstock. This must be made specially for him because despite the Tielman copying no one else played such a colour and even the Chinerey collection of custom colour Jazzmaster doesn’t include that varation. I always wondered how Andy Tielman became his stage wide big lead sound. Years later I found out that bass player Robby Latuperisa, former drummer of The Javalins, had plugged through Andy’s guitar signal to all other Fender Bassmans and Showmans but also to P.A. installation. Not comparable to today’s P.A. equipment but a true invention. I can tell you from my own experience that his stage sound was incredible good, better then on records. Another Tielman first was the use of 2 Fender VI basses together. One with lighter gauge strings was played by Reggy Tielman, the second lead/staccato rhythm guitarist and the other one with heavier gauge strings was played by bassist Robby Latuperisa. Also thanks to their amp settings Reggy sounded like an octave below guitar and Robby like a real bass guitar, which is unique for a Fender VI. 1959 Once and Ready to Rock the first Dutch instro recordings. Lead guitarist Rob Boekholt (ex- Hap Cats) and the group The Hurricane Rollers from The Hague made the first instrumental Indo-Rock recordings in the Summer of 1959 for the Philips label. His own composition Once was build around a very strong original melody and his trademark were the rolling notes. On the B-side a real drivin' number Hurricane Rock. Rob used an Egmond Caledonia guitar during the session. Guitarist/sax player Harry Koster and his Indo band The Black Dynamites recorded their rocker Ready To Rock with an almost American sound for the Delahay label. Just before The Shadows and The Ventures changed the instrumental scene complete, the now classic record Black Eyes Rock c/w Johnny On His Strings was recorded by Electric Johnny & his Skyrockets (CNR) and also released in the US (Felsted), UK (London) and Sweden (Sonet). The same can be said of the first Tielman Brothers instro productions Black Eyes, 18th Century Rock (Mozart!) and A.A.A. ( = Big Guitar) all recorded and released on the Imperial label in 1960. Some of the best Dutch rock instrumentals were recorded by Indo-Rock bands in the Netherlands and Germany in the periode 1959-1964, but in 1965 is was all over for the Indo-Rock, because the bands were swept away and suffered most by the uprising beat-explosion.